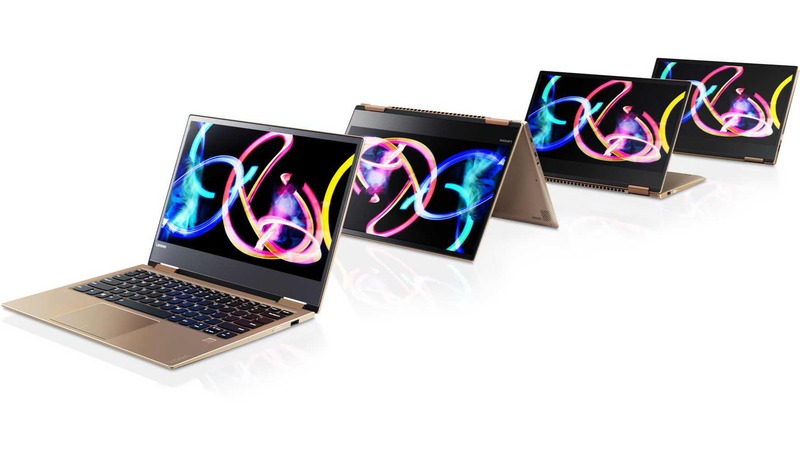 Lenovo today announced new Miix 320 detachable and Lenovo Yoga 720 and Yoga 520 convertibles 2-in-1 PCs. The company also announced an enhancement to Lenovo Connect with support for reprogrammable e-SIMs, which on select Windows LTE-enabled devices, will allow customers to take advantage of their local Telco contract for data when at home and the best local wireless pricing, when they are roaming, without having to swap out their SIM. 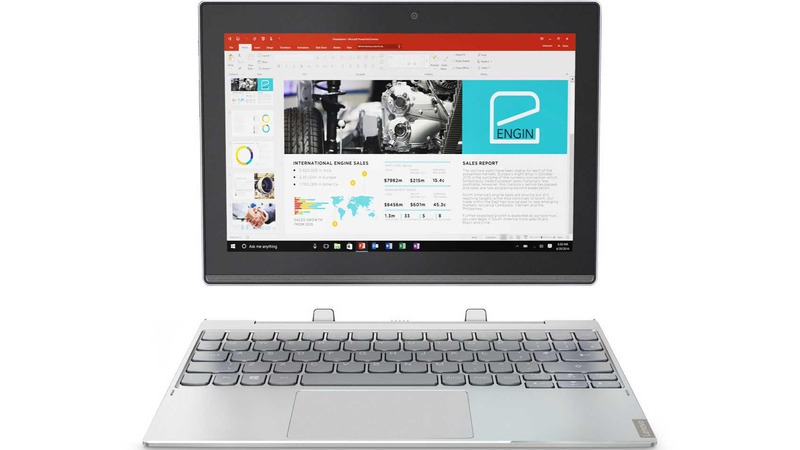 Lenovo Miix 320 is a lightweight Windows 10 detachable device with up to 10 hours of battery life. It comes with a Full-HD 10.1-inch display and the audio is Dolby Advanced. 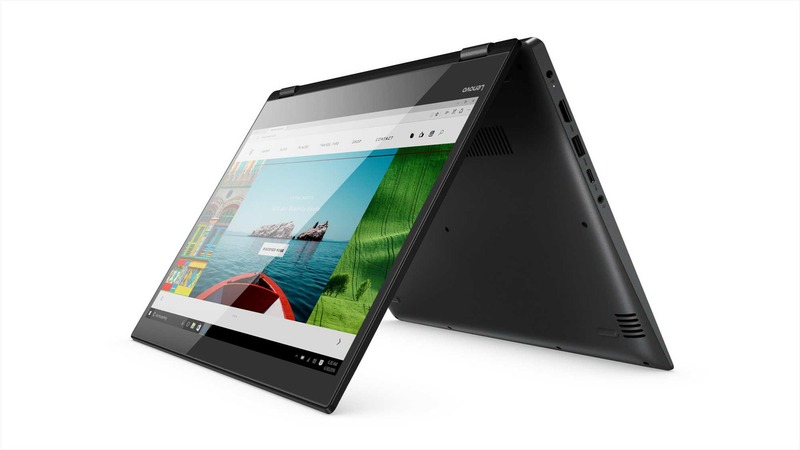 Lenovo’s new detachable is powered by Intel Atom-X5 processor, up to 4GB RAM, and up to 128GB storage. The Lenovo Miix 320 tablet itself is just 9mm thick. The Miix 320 (keyboard included, Wi-Fi only without LTE) will be available starting $199.99 in April 2017. The Miix 320 with Active Pen support and Microsoft Office 365 (for 12 months) will be released in July 2017. Lenovo Yoga 720 and 520 is now available in 13, 14 and 15-inch models, each weighing less than five pounds. The Lenovo Yoga 720 15-inch is powered by up to the latest 7th Gen Intel Core i7 processors, NVIDIA GeForce GTX 1050 graphics, Thunderbolt 3 and up to nine hours of battery life. Meanwhile, Lenovo Yoga 520 also comes with up to a 7th-gen Intel Core i7, and you can get an optional Nvidia GeForce 940MX. There’s also an Active Pen and fingerprint reader. The display is a 14-inch “up to FHD” LCD, RAM options go up to 16GB, and storage choices are up to 512GB SSD or 1TB HDD. It also comes with Dolby Home Theatre with Harman Audio. The Yoga 720 (13-inch and 15-inch) will be available starting $859.99 and $1,099.99 in April 2017 respectively. The Flex 5 (14-inch) will be available starting $799.99 in May 2017. The Flex 5 (15-inch) will be available starting $799.99 in May 2017.